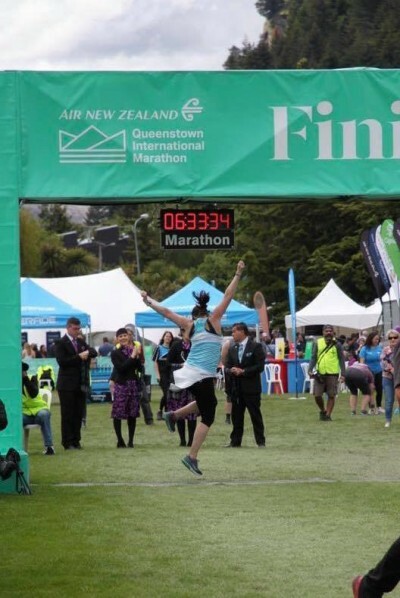 Cadbury Marathon Festival Recap by Tracey Hind. Girls weekend away .. Yes! Days off from house work.. Yes! A group of us from Penrith, NSW decided on a weekend away to Hobart for the Cadbury Marathon 2017. Who could resist when running and chocolate was to be involved ! Some made it into a mini holiday , some a long weekend . Either way, it would be a fun time away. 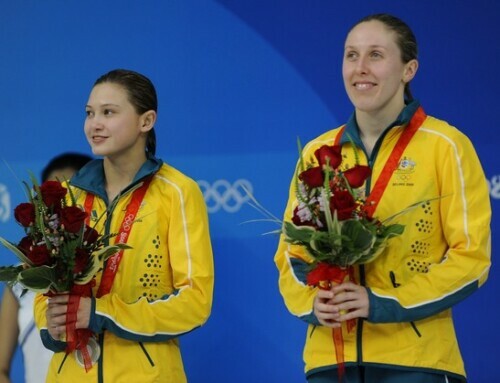 I felt a mix of emotions; from the tiredness of being a busy mum of 3 to the gruelling 4am training sessions all week. But I was also excited to try out a new course. Having never seen the course before meant it was exciting and a little nerve wracking. This was another training run for me as I start to build my kms getting ready for another big year. We knew there would be some hills but we would also be rewarded with chocolate at the end! Race day started with an early morning bus pick up at 5.00am from the hotel . The event had organised coach transfers to and from the Best Western Hotel and the start line. 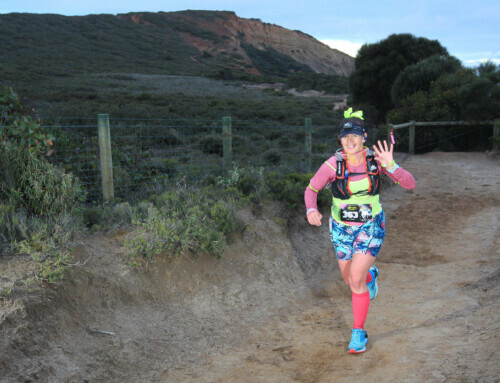 The 20 minute drive in the dark had us blissfully imagining the beauty of the course, but as the sun rose, so did the elevation as we drove up the final 200m 4% climb to the start line. Straight off the bus we were hit by the cold and wind. At 15°C it was a much welcome change from the high 30°’s we had been having for the past month in Sydney. What a way to beat the heat of Sydney! Perfect temperature for running, but the wind has us worried. It was then a stop at the RMA tent for a pre-race photo and loads of nervous chatter. At 6.00am we saw the marathoners take off and the excitement was building . There was even a guy dressed in a banana suit running the marathon. Now that’s commitment! At 6.30am it was finally time for the half marathon. We were ready; ready to smash out a PB time, ready to finish even with an injury, ready to enjoy the journey and have fun! Then we were off! The course started from the Cadbury chocolate factory and started winding down through the houses and the steep hill that we would have to finish on. I started giving myself mental reminders to save some energy for the uphill finish. Some hill training prior to the event would definitely have been beneficial! The course then continued to wind around the foreshore, with undulating hills, past a vineyard and over a bridge. As it was a road race, we were lucky to have the road mostly closed , so it was safe with a nice wide road to race on. There were strong head winds in parts , and some small hills along the way. 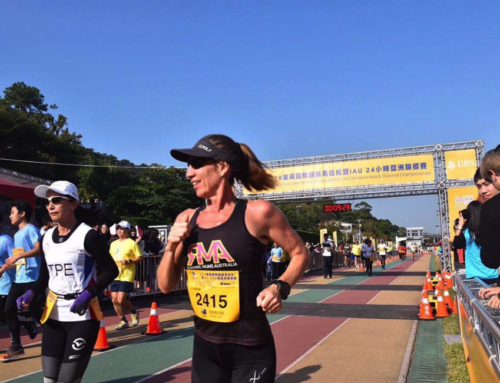 Being an out and back course, we had the added benefit of seeing the marathon runners pass by on their first lap followed by the half marathoner leaders on their fast paced return. It is so inspiring to be able to see these elite men and women in action, so focused and on a mission! There were pacers in each race, and they were happily running and encouraging people to stay with them to achieve their personal goals. There were a number of drink stations along the course, all with happy volunteers supplying water and Bulk Nutrients electrolytes to keep us going. Photographers were also placed at great vantage points to capture the special race memories for us. The added benefit of an out and back course is being able to see and cheer all the competitors on course. So many RMA’s were running and so much love and encouragement on course from our beautiful community we are part of. Hi fives and cheering, from the start line all the way to the finish line. It was so lovely to see and hear. With two kms to go there were a few smaller hills in the lead up to the grand finale, and it didn’t disappoint! Powering up the hill, you could hear the finish line looming. Round the corner and you could hear the cheers for your name from the crowd. Past the RMA tent with screaming RMA all the way to the finish line. What a way to finish! We were then handed a Cadbury goody bag which had our sparkly purple medal and some chocolate, YAY!, and then off to celebrate the finish with friends! We enjoyed a post race coffee and bacon and egg roll for breakfast. Then back to the RMA tent to enjoy an amazing post race massage from RMA sponsor Fisiocrem! Nothing better than lying on the massage table getting all the niggles massaged out, in a prime position to watch finishers from the other races get to their finish line. Cheering all the way from RMA! After the massage, there were plenty of photos and congratulatory banter, I even managed to score a special hug from Freddo Frog and Caramello Koala. They were there to see off the Caramello mini marathoners kids race (1KM) and it was so special seeing all the little cute kids finish their race, some with the help of mum or dad. Seeing them involved at such an early age is so beautiful and is extra incentive for me to return next year with the family. We stayed for a while just soaking up the atmosphere and chatting to the friendly locals and RMA’s before hopping on the transfer bus back to our hotel. It really is one of the most organised events I have ever attended, and it had such a great warm atmosphere around it. I would highly reccommend putting this one on your bucket list. Whether it is your A race, ready to go for that PB race, or just have fun and finish it race, this is a well organised and friendly event with some beautiful countryside as its backdrop. If you’re looking for an excuse to visit Hobart then why not get some chocolate while you are at it. The city is an amazing place where we even found some fantastic bars and restaurants for pre and post race carb loading. It will not disappoint! 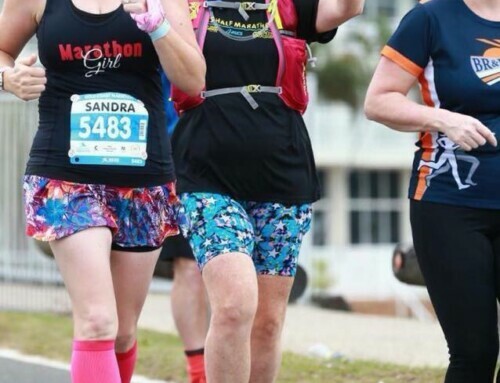 Tracey is an RMA member from Western Sydney, mum of 3 and last year ran her first 100km race! Thanks Tracey!